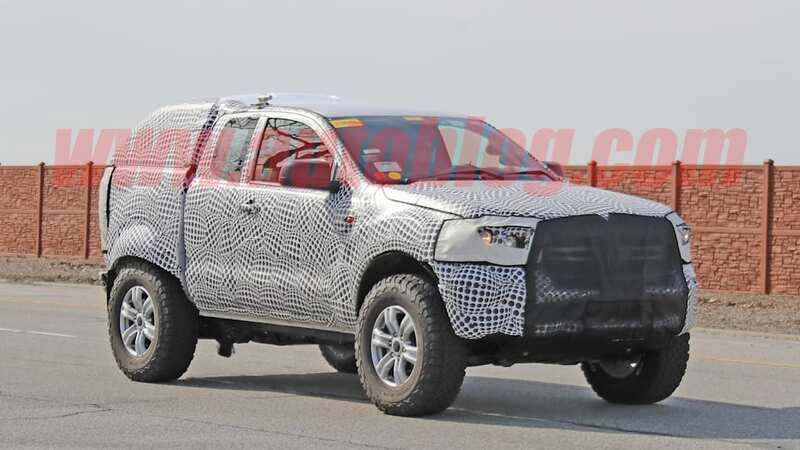 Every 2020 Ford Bronco prototype we've seen has been keeping its cards close to the chest between its shorty Ranger body and heavily covered rear suspension. 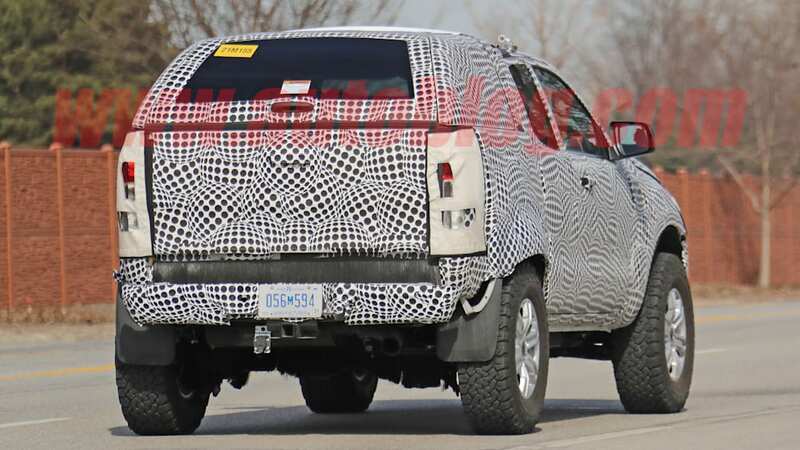 But finally, we've got a couple shots that give us a glimpse of how the rear is designed, and it looks like it uses a solid axle. 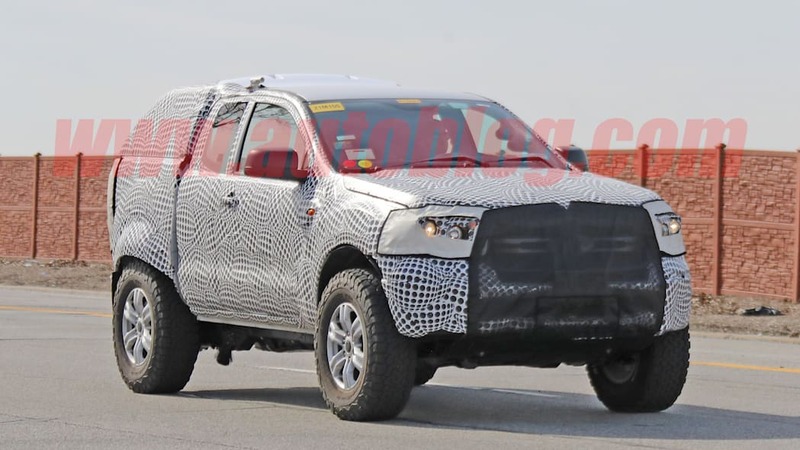 One photo in particular reveals a portion of the frame and what looks like a mount for a rear trailing arm, the kind you would use for a solid rear axle. 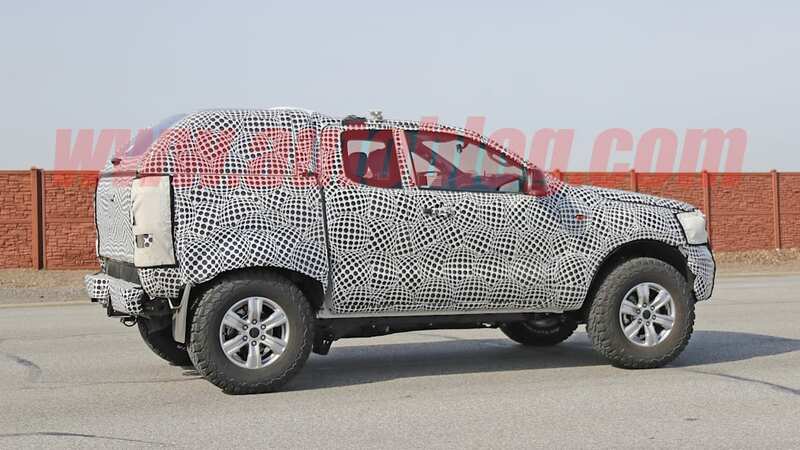 That's good news for off-road fans, since a live axle in the back allows for significantly more articulation over rough terrain than the independent double wishbone and multi-link suspension designs favored on cars. 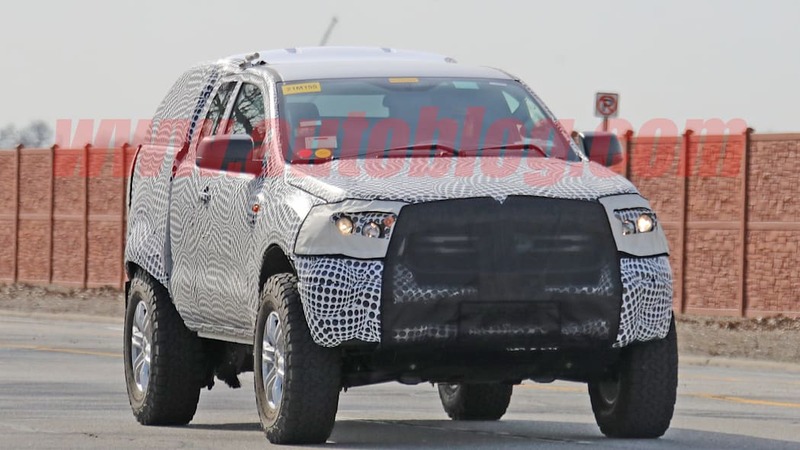 Now what we can't see is how the rear end is sprung, but there are some things that lead us to believe it uses coil springs. 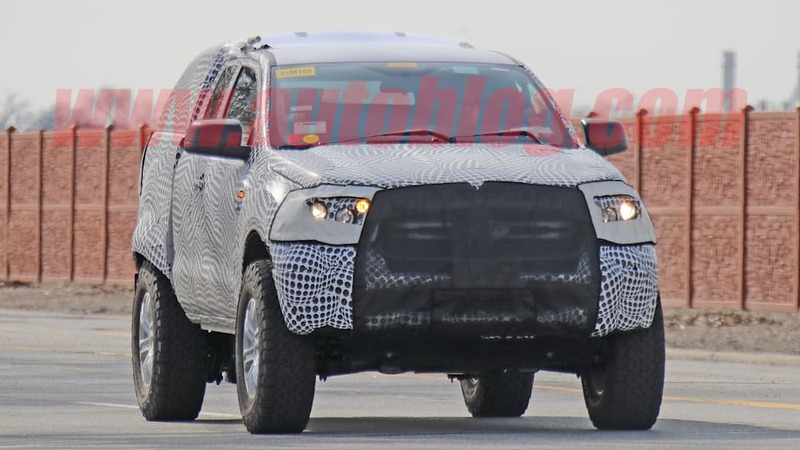 First of all, what we believe is a trailing arm is positioned about where the leaf springs would probably sit. 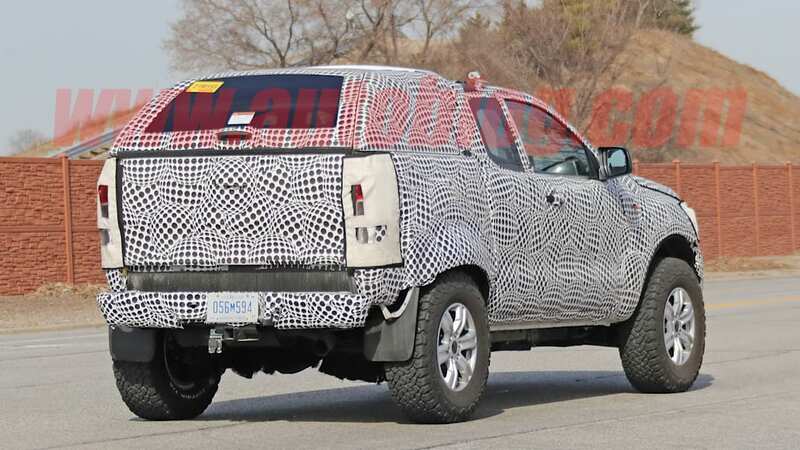 Then there's the truck's miniscule rear overhang. There doesn't seem to be a good place to mount the back half of a leaf spring pack. 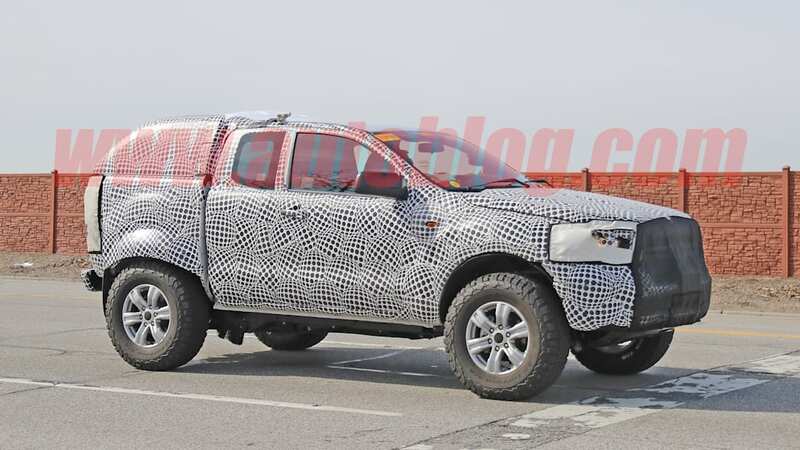 The coil-sprung solid axle has also been proven effective by the Bronco's key rival, the Jeep Wrangler. 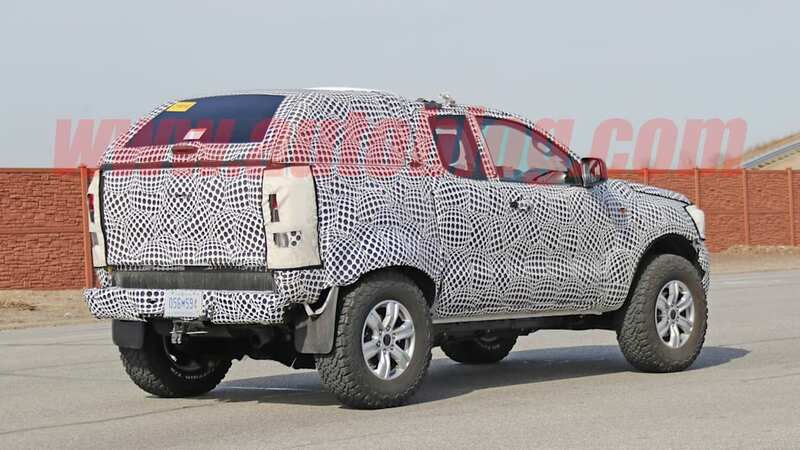 There is a chance that Ford is throwing us all off with all this crazy camouflage or we're looking at this wrong and what we actually are seeing leaf springs instead of a trailing arm. 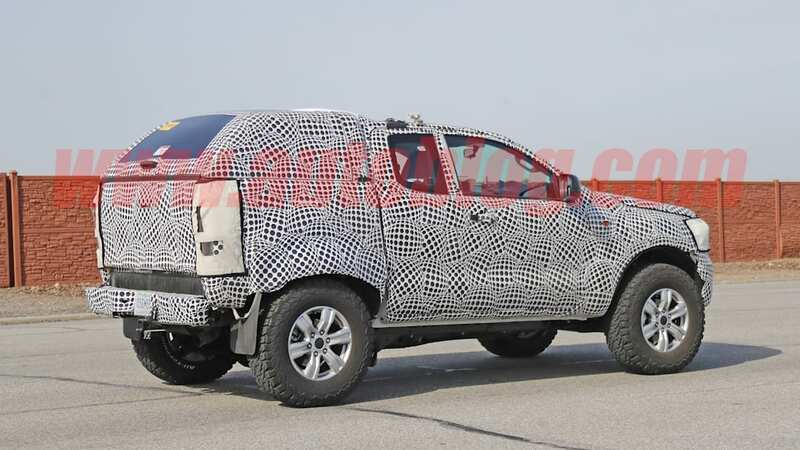 Either way, though, the Bronco does appear to have a solid rear axle. 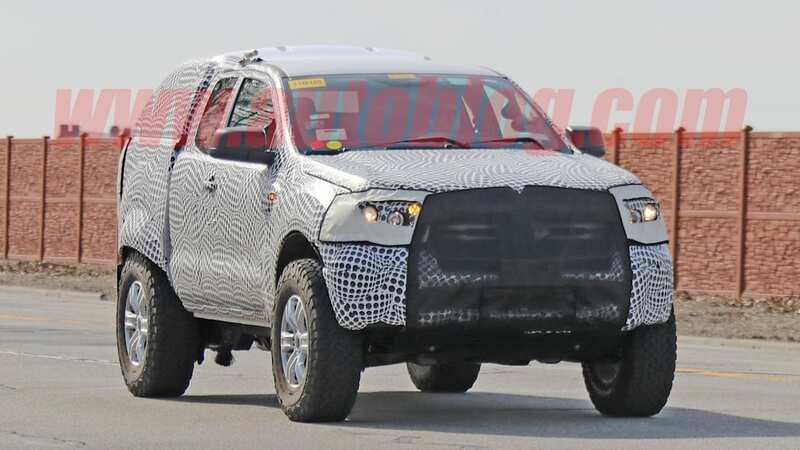 We'll know more about the Bronco when it finally makes its debut in time for the 2020 model year. 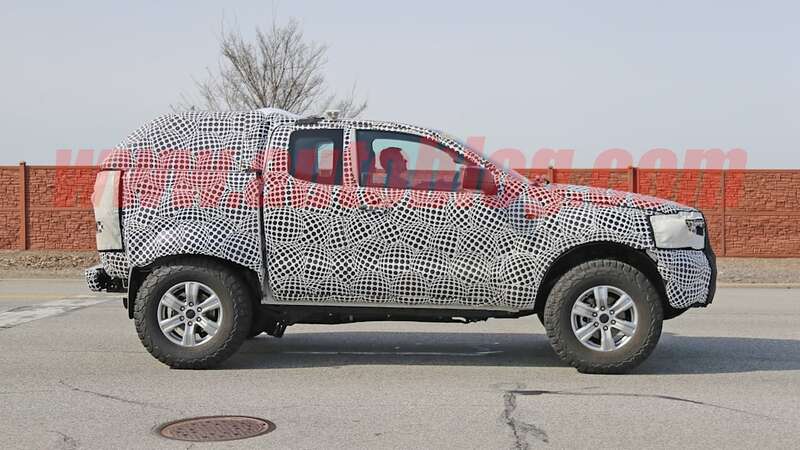 It seems it will have a removable roof and doors like the Wrangler and the old versions of the Bronco. 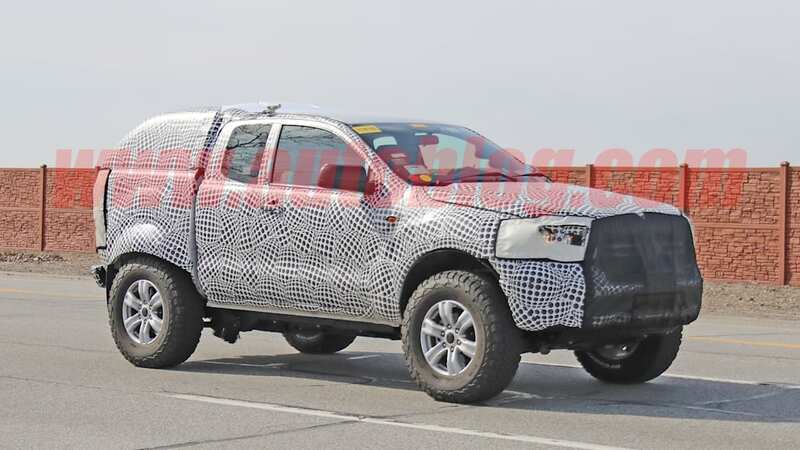 Since the Bronco will be based on the Ranger, the 2.3-liter turbocharged 4-cylinder and 10-speed automatic seem likely possibilities for propulsion, but a 2.7-liter turbocharged V6 and 7-speed manual will reportedly be available.